Being outdoors in nature is mostly about putting the phone down and getting out there. But sometimes, a smartphone is your ticket to enjoy the adventure even more. 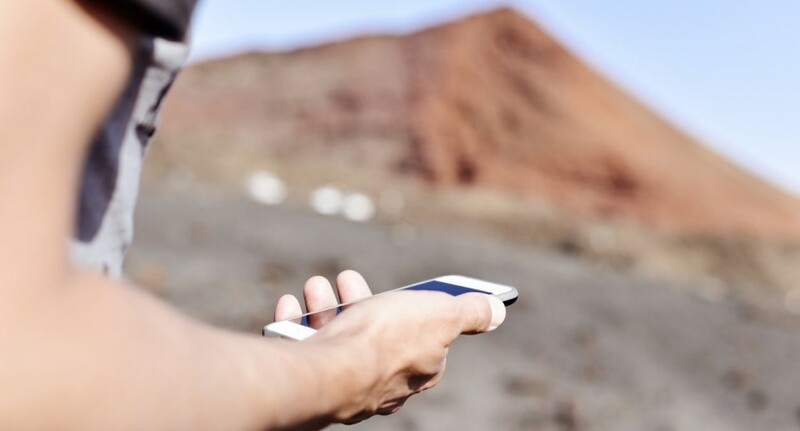 Here is a list of the best and most useful apps to download within the outdoor community to help you get out and stay out. The app itself is free of charge to download, so you can use the app as it comes or opt to pay an annual fee of $19.99 to upgrade your membership to a premium plan. The basic version of AllTrails will work just fine when using it as a day hiker. It is super helpful when locating trail heads, mapping out your next hike, and then finding your way around both. The app shows elevation, mileage, time elapsed, your average and maximum speed, and exactly where you’re located on the coordinates of a GPS. It’s also super helpful to have when you venture off-trail and need to get back on track. Download on iOS or Android. The MapMyHike app is extremely useful to have as a day hiker. For every mile you travel, the app provides you with detailed stats and feedback to help increase your overall performance. It also shows you popular nearby hikes to check out and lets you save your favorite routes (or even create your very own.) The app is free of charge and is definitely worth the download as a frequent hiker. If you are interested in your hiking pace at various points of a hike, this an awesome too. Runners will also love Map My Run. Price: Basic Free, Premium $29.99 per year. I’m glad that I spent the $3.99 to download this magical app. Turn it on, hold your phone out in front of you, and watch the magic unfold. The app is meant to pinpoint what other mountain ranges are around you. When it recognizes a summit, it’ll show where the mountain is in comparison to your exact location, along with the mountain name and elevation of the summit. This app is super cool to have when you’re out on the trails. Click on the app, wait for it to fully load, and you can see every mountain that is in the vicinity, at the palm of your hand. It is cool to see other mountains that I have hiked from a different perspective, and how close or far they actually are to one another. This app will run you roughly eight bucks in the App store which may feel a bit steep just for an iPhone app, but it’s well worth the small investment. This app provides you with so many useful features for hikers. It includes a GPS receiver, waypoint tracker, heads-up display, speedometer, altimeter, sun/moon/star locator, rangefinder, angular calculator, camera, compass, and serves as a set of binoculars. I’d consider this app to be elite and well worth the download if you are frequently traveling “off the grid”. Gaia GPS is an outdoor navigation app granting access to maps including topographical, satellite, road, and the NatGeo Trails Illustrated map series. Another cool function of this app is the ability to track all of your hikes while measuring pace, distance and elevation. With a premium membership ($19.99 per year), you can download offline maps, record your hike, and use map overlays. It also gives you the option to download a range of offline maps for off-grid access to use even when your cell’s reception isn’t working properly. The premium plan is the way to go if you’re an avid hiker and adventurer, but the regular app itself will do the trick. Price: Free, $19.99 for Premium membership. Guthook Guides is extremely popular with thru-hikers, especially those hiking the Appalachian trail from Georgia to Maine. This app gives you the option to buy certain sections of trails to download right to your device. It shows you the distance between water sources, shelters, mountain summit markers, road crossings, and so much more. If you plan to thru-hike or go on an extensive backpacking trip in the near future, this app is a must have! Even if you aren’t a long distance hiker, this is app can be useful on a day hike. It points out waterfalls, scenic views, river crossings, fire towers, and many other landmarks that you might want to check out. Price: Free, $9.99 per trail section. The REI app called Hiking Project, includes more than 35,000 trails, with detailed info, data and downloadable maps, to ensure you get to your destination. With user-submitted trails, reviews and photos, the app uses the power of the masses for good. The app provides up-to-date trail conditions, driving directions, reviews, photos, and user-submitted trails to check out. It also lets you log your hikes by adding trip info, details and photos. Cairn is known as “the ultimate hiking safety app”. The app promotes cell coverage spots and points out places along the trail that other hikers found coverage, by each carrier. Cairn shows you coverage spots and shows you where others have found coverage on the trail, broken down by carrier. This is useful if you need to update your loved ones or indeed make an emergency call. It has the option of sending automated updates to loved ones at home at the start and end of your trip, as well as an ‘overdue’ notification if you fail to check in on time. Price: Free for Basic, Premium $26.99 per year. Outdoor enthusiasts who journal and document their adventures have finally met their match. Ramblr is a mobile journaling app that was designed for hiking and mountaineering trips. The app lets users document their entire journey, from their average speed, distance traveled, and highest elevation reached. Other features include built-in mapping, the option of uploading and sharing trip reports, and locating where other Ramblr users have hiked,. The American Red Cross’ First Aid app is 100% free to download and use. The app provides you with basic first aid information to treat a multitude of injuries while on the trail. In the event an emergency strikes, there’s a build in one-button shortcut that dials 911 for you. It also has an option to enroll in first aid courses, purchase your own first aid kit, or contribute a donation to the American Red Cross. Andrea is a writer, hiker, and adventurer from New England. She enjoys snowboarding, sunrise hikes, winter, night hiking, traveling, and photography.